“Fortnite Battle Royale” is the hottest game in the world right now. Need proof? Just look at the graph below, courtesy of Google Trends. 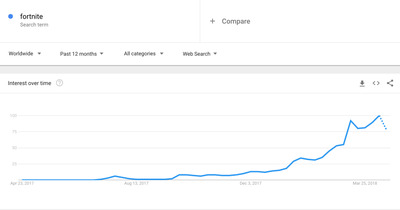 It shows how search interest in “Fortnite” is at an all-time high. Fortnite is a global phenomenon. 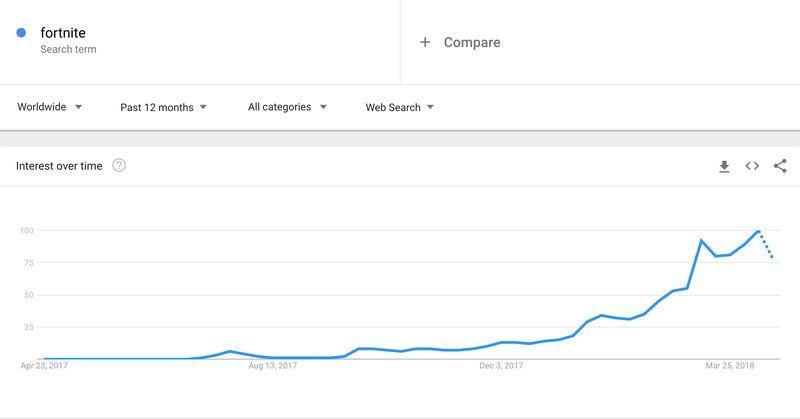 Google Trends, which measures search interest on a relative scale, shows how interest in Fortnite continues to go up and up. 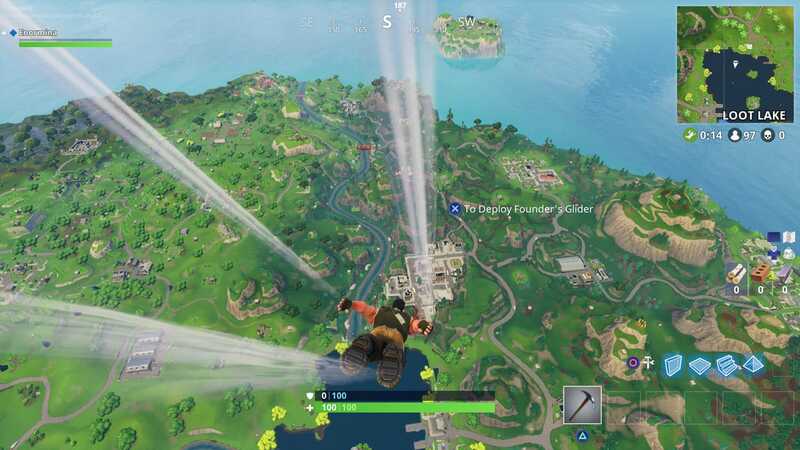 Though it lost some momentum in March, Fortnite has become a huge topic of discussion this month: The game notably experienced a 12-hour worldwide blackout on April 11, but other updates have also brought new attention to the game, including mysterious meteor showers in the game and the decision to remove one of Fortnite’s most novel weapons. 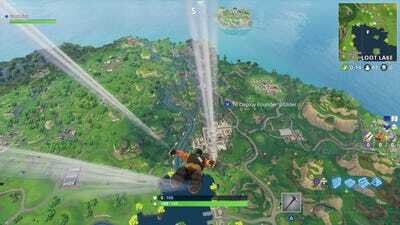 For those unfamiliar with the game, Fortnite Battle Royale is free to play and highly accessible: It’s a free download on the PlayStation 4, Xbox One, PC, and even iPhone and iPad. An Android version of “Fortnite” is also coming soon.